Lung cancer is traditionally classified as small cell carcinoma (SCLC) and non-small cell carcinoma (NSCLC). Although advances in SCLC have been limited, NSCLC has become a paradigm for personalized oncology as practically all treatment decisions depend on biomarkers selecting patients for enhanced response to targeted therapies by tyrosine kinase or immune checkpoint inhibitors. As such, targeted therapies are usually more effective and less toxic than conventional combined chemotherapies as they target specific vulnerabilities of lung cancers. As a consequence survival of patients with advanced lung cancers is increasing for the first time in history. In principle, tumors driven by single activated oncogenes, such as mutated EGFR, BRAF, or gene fusions of ALK or ROS kinases, are highly sensitive to kinase-specific inhibitors. As they typically reveal flat genomes (i.e., tumors without large number of mutations), they lack presentation of manifold tumor (neo)antigens, and hence they do not benefit from therapies with immune checkpoint inhibitors. Rather, these tumors need surveillance under therapy, and once acquired resistance emerges, second- or third-line TKIs overcoming resistance are being administered. In contrast, tumors harboring high mutational load (referred as high TMB, tumor mutational burden) in their genomes, such as smoking-related NSCLC, frequently present many tumor (neo)antigens and require masking from immune surveillance by presentation of PD-L1 to the adaptive immune system or by other mechanisms. Therapies with immune checkpoint inhibitors have reached clinical practice, and tumors presenting high levels of PD-L1 on their surface are now been treated by PD1 monoclonal antibodies in first line. In comparison with conventional chemotherapy, these therapies revealed enhanced overall survival (OS), enhanced overall response rates (ORR), prolonged progression-free survival (PFS), and better quality of life (QoL). 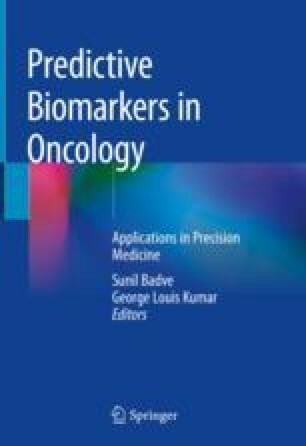 Thus, all therapeutic decisions in lung cancer from first line to second line depend critically on the measurement of biomarkers from tumor tissue or from circulating tumor cell DNA. American Cancer Society. (2016). Cancer facts & figures 2016. http://www.cancer.org/research/cancerfactsstatistics/cancerfactsfigures2016/index. Accessed 13 Dec 2016. ClinicalTrials.gov Identifier: NCT02477826. www.clinicaltrials.gov. https://clinicaltrials.gov/ct2/show/NCT02477826. Nogova L, Sequist LV, Perez Garcia JM, Andre F, Delord JP, Hidalgo M, Schellens JH, Cassier PA, Camidge DR, Schuler M, Vaishampayan U, Burris H, Tian GG, Campone M, Wainberg ZA, Lim WT, LoRusso P, Shapiro GI, Parker K, Chen X, Choudhury S, Ringeisen F, Graus-Porta D, Porter D, Isaacs R, Buettner R, Wolf J. Evaluation of BGJ398, a fibroblast growth factor receptor 1-3 kinase inhibitor, in patients with advanced solid tumors harboring genetic alterations in fibroblast growth factor receptors: results of a global phase I, dose-escalation and dose-expansion study. J Clin Oncol: JCO. 2016. 2016672048. [Epub ahead of print]. PMID:27870574.